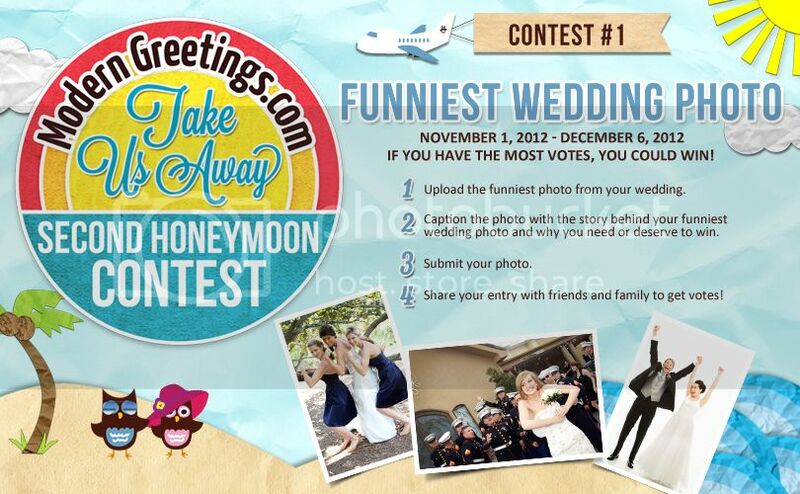 ModernGreetings.com wants to help four married couples re-celebrate their union with a second honeymoon in a series of individually-themed contests! Participants will be asked to complete various tasks via social media, such as submitting a funny photo, creating a video response or pinning pictures on Pinterest. The winning couple for each contest will win a trip to the destination of their choice up to $3,000, that can be used towards airfare, hotel, rental car, dining out, and additional expenses. Winners will also receive a professionally designed photo book for them to showcase their trip, so make sure you take lots of pictures! Participation in all contests is not required. Even if you don’t win the Grand Prize, all participants will receive a $5 ModernGreetings.com voucher, good towards any purchase on ModernGreetings.com, so everybody wins!